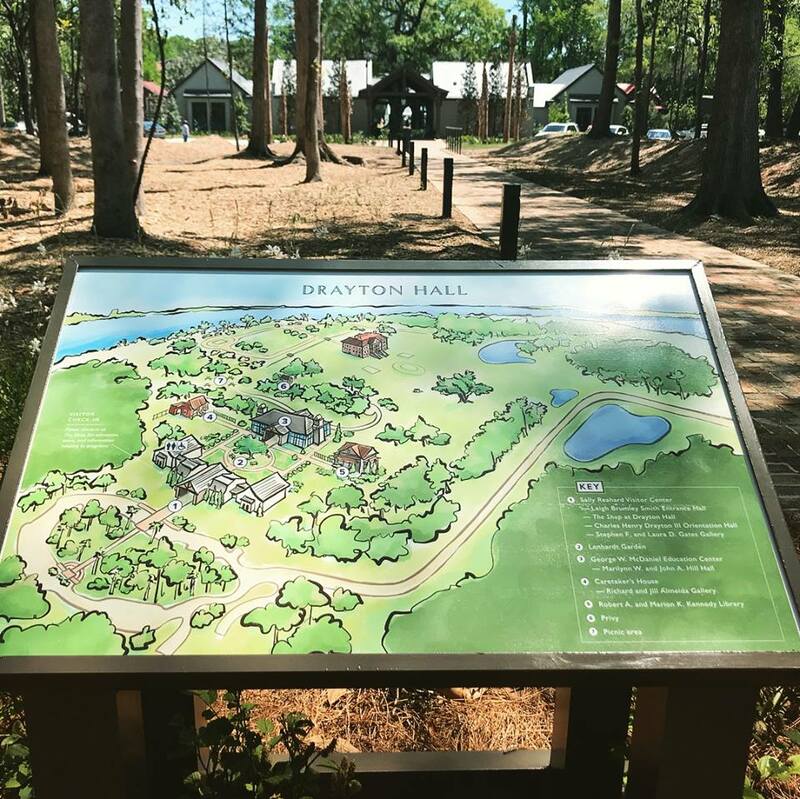 Illustrated map for Drayton Hall, revealed at the ribbon-cutting ceremony for Drayton Hall’s new visitor center. 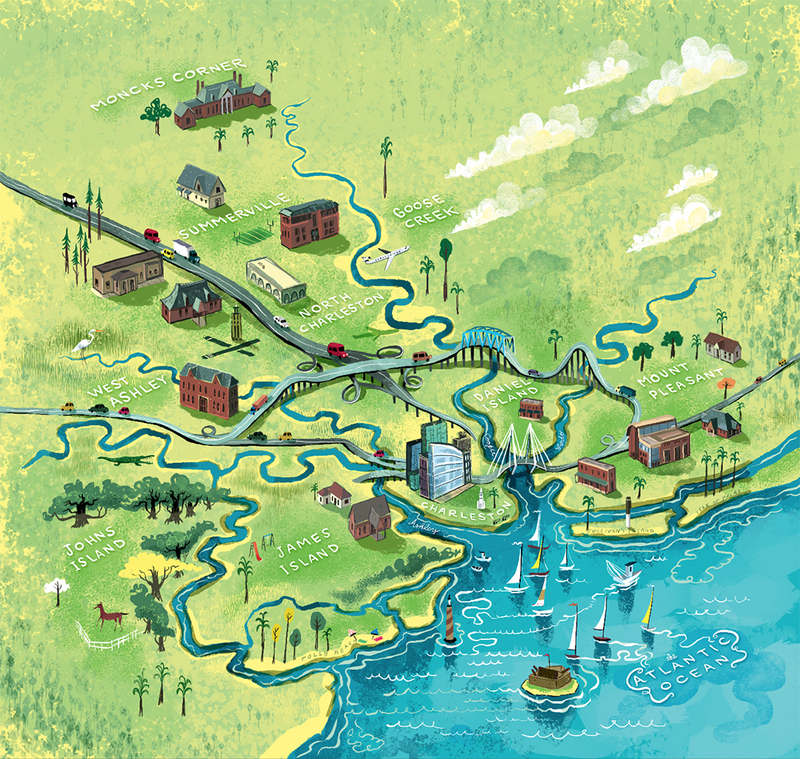 Illustrated map for the Medical University of South Carolina featuring MUSC facilities throughout the Charleston area — plus a few bonus wildlife cameos. 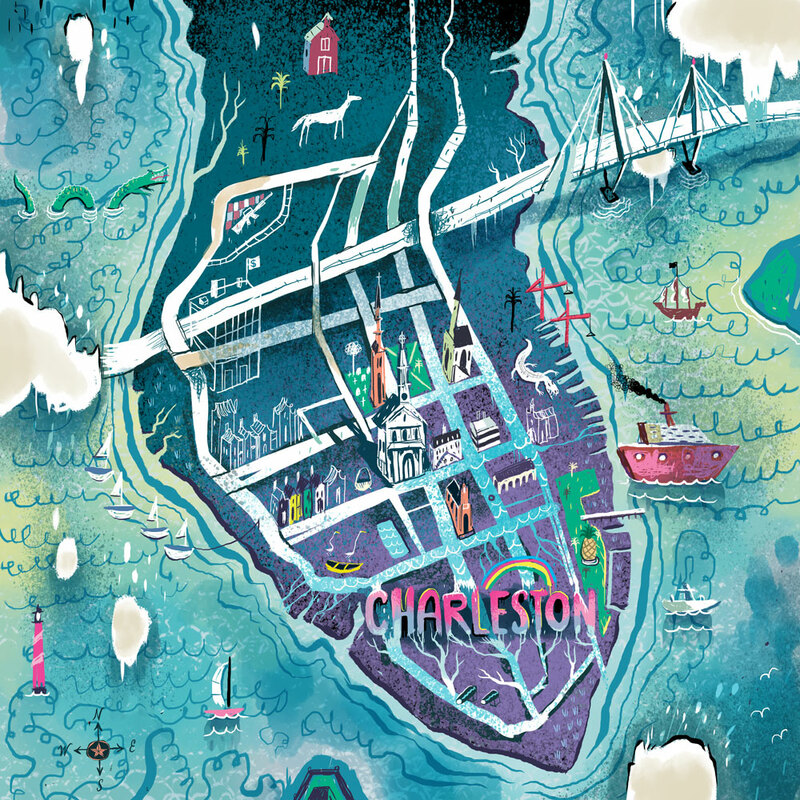 Illustrated map of Charleston, our favorite spot to navigate! 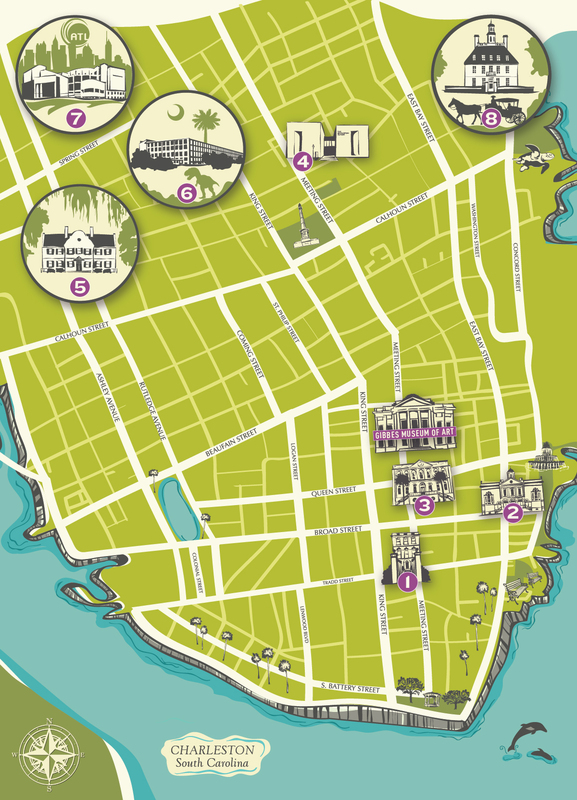 Illustrated map of Charleston highlighting locations where Gibbes Museum’s artwork was displayed during the building’s renovation.